This house on West Ohio Street in Austin is one of six projects of the "Community Restoration Fund" from U.S. Bank, designed to help neighborhood developers rehabilitate and resell foreclosed properties. U.S. Bank unveiled its plans Friday to invest on Chicago’s West Side, highlighting a $600,000 investment and plans to renovate six foreclosed homes in Austin and Maywood. “You will see neighborhood guys fixing up houses, and you will see U.S. Bank backing it up with money,” said Jacqueline Reed, head of the Westside Health Authority, one of two community groups working with the financial institution. This house on West Ohio Street in Austin is one of six being worked on as part of U.S. Bank's Community Restoration Fund, which is designed to help neighborhood developers rehabilitate and resell foreclosed properties. On Friday, construction workers were busy renovating one of the houses – at 4932 W. Ohio St. – the first of U.S. Bank’s promised community investment of up to $2.4 million over the next three years. West Side residents had the chance to tour the home as part of the celebration that started with a press conference in U.S. Bank’s parking lot in Oak Park, just across the street from Austin. It was the culmination of months of negotiations between the bank and community leaders that started not long after federal regulators closed longtime community bank Park National, which had been based at Austin Boulevard and Madison Street. “A year and a half ago, the FDIC made a profound mistake by taking over Park National Bank,” said Oak Park Village President David Pope of the federal government’s decision to seize the bank in fall 2009. That seemed to ring true for most of the neighborhood’s residents who knew of Park National Bank and its former owner Mike Kelly. “A lot of what he did was his own charitable stuff. He just gave enormous amounts of money,” said Bob Vondrasek of the South Austin Coalition. With Park National Bank’s generosity gone, community residents questioned who would make the investments the neighborhood needed. Enter The Coalition to Save Community Banking, a non-profit organization that formed with the goal of getting U.S. Bank, which took over for Park National, to make a commitment to the West Side community. Early on, the coalition wasn’t happy with the response it got, even after a bus of West Side residents traveled to Washington, D.C., to testify before Congress about Park National’s seizure. That’s when the coalition turned to U.S. Rep. Danny Davis. And with the help of Davis, U.S. Bank came to the table in October, including Richard Hartnack, vice chairman of consumer banking and small business at U.S. Bank. From there, “they didn’t miss a meeting,” said Reed. “We didn’t have to call them, they called us,” she said. 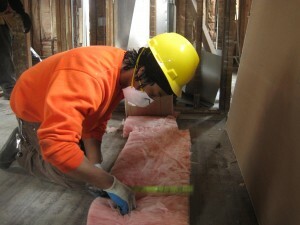 From those negotiations, two programs were created: the Community Restoration Fund and the Community Benefits Agreement. 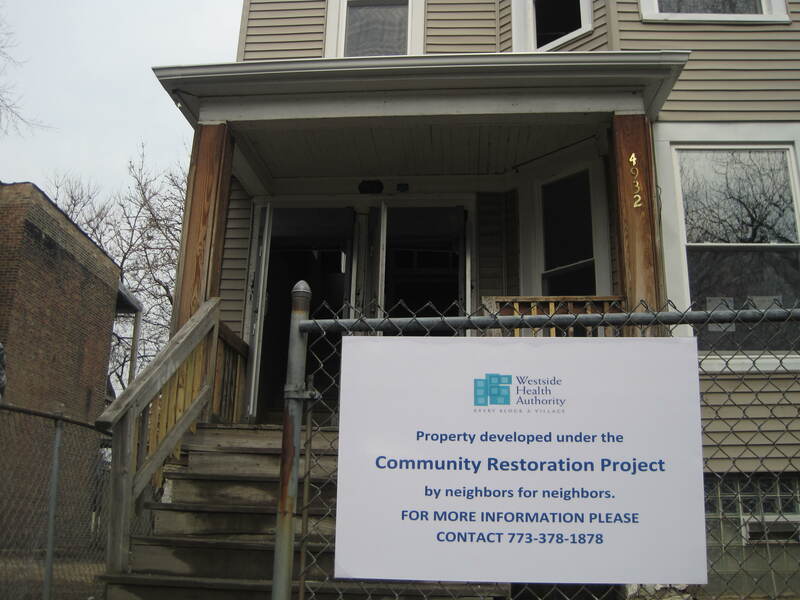 The Community Restoration Fund will invest in local developers who will purchase foreclosed property at zero-percent interest, renovate them and sell them at cost. Work on this house on West Ohio Street is expected to be finished in three months and be ready for sale. Over the next nine months, $600,000 will be invested in six homes; three houses are being developed in Maywood by Housing Helpers and three houses in Austin by Westside Health Authority. The homes in Austin should be market ready in three months, said Morris Reed with the Westside Health Authority, with the home at 4932 W. Ohio St., being listed for about $165,000. If the developers pay back the loans in full, the bank will reinvest another $800,000 in 2012 and $1 million in 2013 for a total investment of $2.4 million, said U.S. Bank spokeswoman Lisa Clark. “We’re not holding their feet to the fire for that money back. It’s all about sustainability and accountability,” said Clark. Lending in moderation will keep better track of the success of rehabilitating houses in the neighborhood, she said. “If they find people that want to move in there we’re going to work with them on a mortgage that’s going to work for them. We’re not going to do any sub-prime lending,” Clark said. The bank also created a Community Benefits Agreement. Its purpose is to provide neighborhood development support, including financial education starting March 18 and 19 at the Maywood Community Center with a seminar on mortgage modification for those struggling to meet payments. The agreement also calls for more low-income lending attention, including taking a second look at small business loans that were previously denied and offering suggestions on how their needs might be met. “If we do this right together, we will have a program that we can bring to every other bank in the market,” bank official Hartnack said. There will be oversight, said Cathy Palmer, a coalition negotiator. Communication between the bank and the coalition is expected to resume as early as this week and continue from here on out, she said. But while the mood at Friday’s event was celebratory, advocates for more community lending on Chicago’s West Side say it’s just the beginning. “We have to hit the ground running,” Palmer said. But it’s a good start, she said. * Commitment of financial support for affordable housing and community economic development, with specific support to the West Side neighborhoods of Austin, Garfield Park and North Lawndale, and the Near West suburbs, primarily Maywood. * Commitment to work with local nonprofits engaged in workforce development and job placement, to link qualified community residents with employment opportunities with the U.S. Bank. 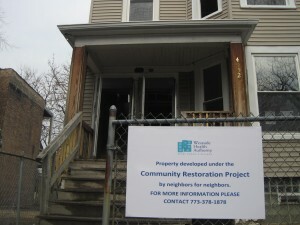 * A progressive partnership to assist housing counselors in identifying services for foreclosed properties. * Mortgage modification events, with the first of these events scheduled later this week. The U.S. Bank-Coalition partnership is planning the event, targeted to distressed homeowners from the West side and Near West suburbs. Other servicers will be invited, and U.S. Bank’s loss mitigation team will be on hand to assist distressed homeowners behind on their payments. * Commitment to a “second-look” process for small business loan applicants that may have been turned down and options to ensure all alternatives for a business are considered. * Joint efforts to increase low- and moderate-income families’ access to credit and financial services at affordable rates, as well as workforce development and job placement at U.S. Bank. The group will be honored by the Woodstock Institute at a conference being held Thursday in Downtown Chicago. Don't miss the chance to visit on Tuesdays this month the PCC Farmers Market, at 330 N. Lotus, and the Garfield Park Market, at 200 N. Kedzie Ave., this Thursday.